If you’re looking for group accommodation in Cape Town, you know a hotel is a good choice. However, if you want to know why villas have become more popular among visitors to the city, especially in large groups, keep on reading to find out why! When selecting accommodation for a large group of people, narrowing down the list of options results in a choice between self-catering villas and hotels. Keep reading to get the facts you need to make a confident decision when choosing group accommodation in Cape Town for your upcoming trip. The city of Cape Town is South Africa’s premier holiday destination. With a combination of breathtaking natural beauty, a vibrant city centre, lovely climate, plenty of shopping, adventure and cultural experiences as well as many attractions, it is hardly any wonder that the city is frequently rated one of the top destinations in the world. In fact, Cape Town was rated the world’s best city in the Telegraph Travel Awards every year since 2012. During the Cape’s peak holiday season, sophisticated accommodations offering privacy and luxury with both mountain and sea views tend to be booked most frequently. And Cape Town’s Atlantic Seaboard is a popular choice as a destination as it is close to the best Blue Flag beaches as well as near the city centre. Which Cape Town area appeals most to you? Which attractions and activities you will be visiting? Are you interested in separate granny flats for older kids or nannies? Would you like a private plunge pool and/or Jacuzzi? This article will help you compare the pros and cons of hotel accommodation and luxury holiday villa rentals, to help you reach the decision of what would be best for you and your group. If you have, for instance, small children or disabled members in your group, certain properties will work better for you. This is one big advantage of going with a holiday villa over a hotel – each property has its own unique feel and characteristics. While all are upmarket and superior in terms of finishes, furnishings and facilities – there are subtle differences in architecture, style and appearance. Some villas are more historic with a colonial feel while others are modern and contemporary featuring the latest designer touches. From industrial chic to character homes and palatial villas against the slopes of the Twelve Apostles, holiday accommodation in Cape Town caters to all tastes. Do you need help finding the ideal holiday rental for your group? Or do you want some advice on choosing between the best suburbs in Cape Town? It can be helpful to speak to some locals who know the city and the establishments that are available. Whether you want to be as close to the beach as possible, near the city centre or high up against Table Mountain for breathtaking views, as discreet and private as possible or in the middle of the trendy summer crowd, contact us at Cape Town Villas, we can help you find the perfect spot. We have a friendly team waiting to help you find the perfect group accommodation in Cape Town. We are locals and have many years of experience in the industry. Give us a call on +27 21 201 1495 – we are happy to help! We guarantee you the lowest rates on villa accommodation. And all our rentals offer space, privacy, hotel conveniences, and 24/7 local guest support. Finding self-catering holiday accommodation for small or large groups is our speciality and we would love to share our local knowledge with you by comparing villas and hotels. There are many upmarket suburbs and neighbourhoods in Cape Town that offer magnificent sea views, beach access, and mountain vistas and are still close to the city. Being on the Atlantic Seaboard has the advantage of being about 15 minutes by car from the centre of Cape Town city. There are plenty of hotels on the Atlantic Seaboard and these could work well for groups. The beauty of a self-catering holiday villa, however, is that you can find a holiday home right on the sea, with private access to the beach. Whether you would like a view of Table Mountain, see Robben Island, have sweeping vistas that include Signal Hill and the Twelve Apostles, all of this and more is possible with a holiday rental. Having a garden and exclusive use of a swimming pool also has some advantages over a hotel room where you will have to share these amenities with other hotel guests. Holiday villas and hotels can be found in excellent locations in Cape Town but villas are able to offer guests more, especially for groups. Hotels may have suites and floors available for groups but rarely will each room be close to the beach or the sea. Luxury villas are a better option when it comes to giving all members of your group a stunning view, access to balconies and proximity to shops. Self-catering holiday accommodation definitely beats hotel accommodation when it comes to the facility offerings. Holiday villas can offer groups much more spacious living areas, multiple lounges and TV rooms, as well as barbeque areas and outdoor patios. Some villas have large decks with expansive views of the ocean, with outdoor furniture and entertainment areas for relaxing outside and enjoying the vista. Hotel rooms usually are air-conditioned and come fitted with televisions and satellite TV channels and en-suite bathrooms. However, luxury villa rentals have these too – and more. Some bathrooms are fitted with rain showers, designer bathtubs with views of the ocean as well as spacious bedrooms the size of an entire hotel suite. Some holiday villas have separate cottages or units for nannies who may not want to be part of the main group. This also works well for teenagers who may prefer some privacy, their own bathrooms and lounge and kitchenette. This is another advantage that villas have over hotels that cannot customise to such an extent for individual preferences. This is arguably one of the biggest advantages of going for the holiday rentals option. 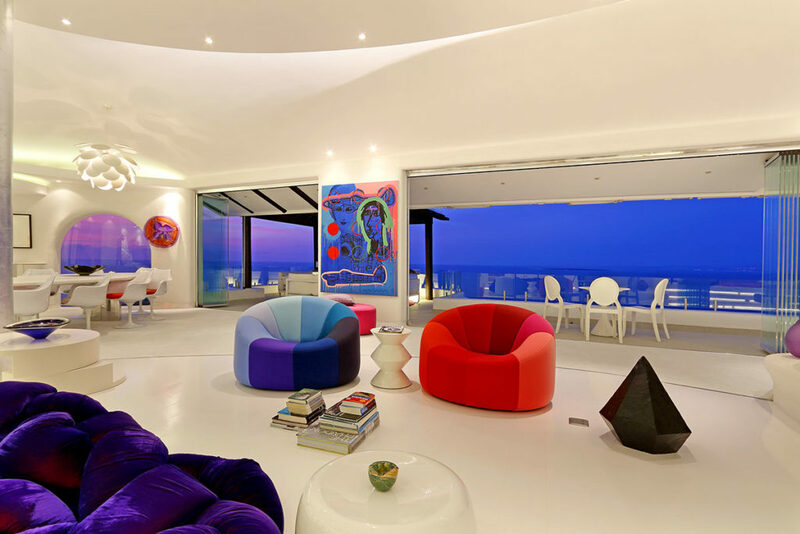 When you have your own luxury villa, you are completely alone and free to do whatever you like. You won’t encounter any strangers or other guests and can feel completely relaxed in every room of your house. There is no need to worry about prying eyes if you want to sunbathe or relax around the Jacuzzi and you can have dinner parties in your bikini if you wish. You are able to control your environment and set the tone for your holiday. Stay up late and have rowdy parties if you like – alternatively, if you wish for quiet time on the balcony with a good book – all this is possible too. In a hotel room, guests can be affected by noisy neighbours or loud music at an event on the premises. This is not the case with a holiday villa where the neighbouring house can be quite a distance away. In addition, you can walk around in your bathing costume without feeling self-conscious. Most holiday villas have various security measures in place to ensure that you are completely safe and left in peace while on vacation. Controlled access ensures that you are able to decide who enters and leaves the premises. Another big benefit of picking holiday villas for your luxury holiday accommodation is the cost. Hotels have daily rates per person, which can become quite expensive when you are booking several days or weeks. The holiday villas to rent in Cape Town, on the other hand, have a daily rate for the whole property – which may include six or seven bedrooms, meaning that people may not have to share rooms as they might have done in a hotel room. In addition, a holiday villa comes with extra lounges, living and dining rooms, swimming pools and gardens for sole use by a party of guests – unlike a hotel. Considering that this includes all of the bedrooms, living spaces, bathrooms, swimming pool etc. it can become much more affordable for groups on a per person basis looking to stay several nights or weeks. Not only will it be more cost-effective, but it can actually make the holiday much more affordable – freeing up some cash for activities like boat trips, helicopter flips, sand boarding or whale watching, shark cage diving or rocking climbing. If you would like some more information about activities in Cape Town, there are many sites to help you plan some fun outings for your group. While cost is not the main reason for picking a holiday villa over a hotel, it certainly is one of the big motivations for making this decision. Hotels come with extensive guest facilities and services, which count in their favour. However, when you book a holiday home from Cape Town Villas, there is quite a lot of support for villa guests as well. There is, for instance, 24-hour assistance, which means that help and advice is only a phone call away. A concierge service will also assist you if you need to make restaurant bookings or find an activity suitable for your group. Whether you are looking for babysitters or a car to take you to an attraction, all of these services can be provided. In addition, most properties are maintained by staff that will take care of all of the cleaning, garden work and pool maintenance—usually in the week, Monday to Friday—and can even include doing the laundry for you. For a little extra (at an additional cost), of course. Luxury villas come with plenty of guest support that easily rivals the kind of services that hotels have. In addition, where at a hotel you are one of many, many guests when you book a villa, you are the only guests staying there and your requests will have priority. Need a massage or a hairdresser? No problem. It can all be arranged for you. Convenience is another important aspect to consider when booking your holiday accommodation. Hotels, of course, are very convenient but vacation villas have as many conveniences. In addition, they can include things that hotel rooms and suites cannot – like fully-equipped kitchens, swimming pools and Jacuzzis as well as private chefs to cater for your family or group. Luxury villas also have dedicated concierges, babysitters and caretakers who ensure that you barely have to lift a finger while coming on holiday. A concierge can make all kinds of arrangements for you, booking car hire or organising tours – selecting restaurants for every night of the week, for instance, so you have as little to worry about as possible. All of the work is taken care of to ensure that guests can relax in well-maintained, lovely surrounds. In addition, tour guides and drivers are available to villa guests to take them around the city and to all major attractions, providing interesting facts and information about top shopping spots. So hotels and vacation villas both score high on convenience. Holiday villas and hotels both come with excellent security measures. These involve hotel room security as well as property controls and access rules. 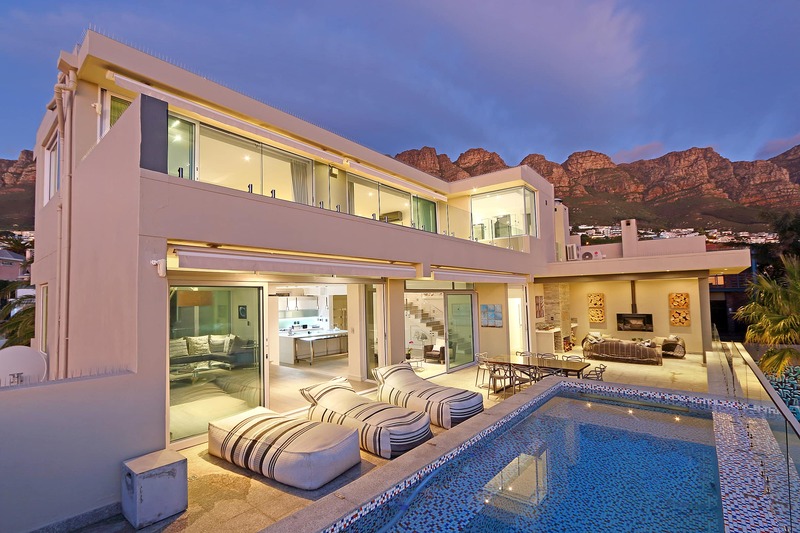 All of the properties available at Cape Town Villas are secure and located in good areas. Each villa has individualised security procedures and operating systems, which may include a safe in every room, an alarm, armed response, access control and safety gates. Access control, video-monitored front doors etc. We know that security is a major concern for travellers coming especially from foreign shores. Our properties come with upgraded security for your peace of mind. This ensures that you do not have to worry about security at all while on holiday. With safe, off-street parking available on most properties you may also rest assured that your car/cars are protected too. All of the properties are in safe neighbourhoods, quiet streets or cul-de-sacs with little traffic and few pedestrians. With hotel rooms, it is always advised to lock your room and stow away your possessions, even if you are only going downstairs for breakfast. It is, of course, always a good idea to use the safe in your villa room for all valuables, but at least in a villa, you will be surrounded by people you trust, as opposed to a hotel room, where there are many strangers about. When it comes to experiencing the best of Cape Town and having a superior visit to South Africa’s most beautiful and exciting city – it is hard to beat a villa as a base for your group. For a group of friends, family or travelling companions, there is much more of a holiday feel if all of you are in the same villa – as opposed to spreading over several rooms or floor in a hotel. Playing a game together, relaxing outside on a deck, enjoying drinks around the pool – all of these become more enjoyable in the privacy of your own villa. Spend quality time with your family or friends, experience the joy of being together without being bothered by strangers not part of your group. Go off for some alone time, to read or relax by yourself and join up with the others if and when you wish – the choices are more at a villa. With luxury finishes and gorgeous interiors, the luxury villa can provide comfort and superior accommodation that will be your home during your vacation. No hotel can really compete with this in terms of the homely holiday feel you get from having your own villa while on vacation. Coming on holiday to Cape Town and staying at a luxury holiday rental will provide your group with the best accommodation in the greatest locations the city can provide. Stunning group accommodation in Cape Town that will enrich the whole experience and contribute to an unforgettable holiday. When comparing hotels and villas it is clear that a villa offers not only the best in terms of accommodation but also the most value for money, quality services, support and superior stays. Being able to customise your holiday and do exactly what you please – and when, is another big advantage. Eat breakfast when and where you like – in bed or on the terrace, outside on the deck or in the garden. Have a chef cater all your meals or just the main one. If you want to spend days beside the pool, swimming and sunbathing and getting up only to get another drink – or whether you would like to go on one adrenaline-filled outing after another – the choice is yours. Your entire party does not have to do everything together either. If the guys want to go deep-sea fishing for instance, while the ladies stay home or go bargain hunting, there is still the sense of the group being on holiday together. Children can have lots of fun too and have more of a holiday experience by themselves in the TV lounge and game rooms. For families or groups with smaller children, the privacy offered by a villa is a big plus too. No need to worry about what other hotel guests will think of the noise, for instance, when the little ones play or run around. For groups who like to be left to their own devices, the villas are of course a great choice. Get takeaways, play games or enjoy the bubbles in your Jacuzzis with champagne and sushi while watching the sunset over the Atlantic Ocean. 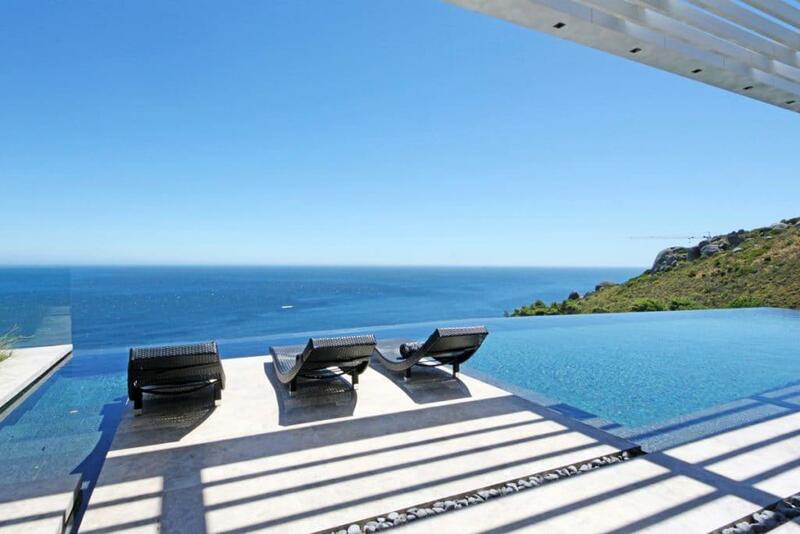 These are some of the special times that await those who book a luxury villa in Cape Town. All things considered, it makes sense to go with a luxury holiday villa as your first choice for group accommodation. And don’t forget, there is a whole complement of staff eager to make your holiday as memorable as possible. Let us help plan and organise your trip. We are the experts at making Cape Town come alive for guests – we would love to assist you. Just call our friendly team of villa experts on +27 21 201 1495.